A Christmas dinner for the homeless. 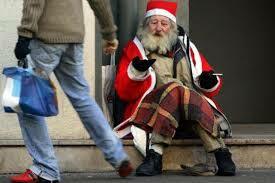 A actor from Montpellier decided to bring Christmas meal to homeless people. They pay these meals thanks to the money they earn by playing street theatre.